Getting 1099’s Out the Door! One of the most important financial tasks that you need to accomplish during this month is completing and dispersing 1099 returns for your team, contractors, and company vendors. This can be a source of great stress for many business owners, due to tight deadlines and the fear of the large penalties for completing them incorrectly. Don’t worry I have a 3 step process you can walk through to take care of them right now. Did you pay them for services? You only need to issue a 1099 to those vendors who provide you with services. For example, your graphic designer, business coach, virtual assistant, etc. Did you pay them via check? You only need to issue a 1099 for payments made via check, wire, or electronic payment from your bank account. Did you pay them more than $600? This is pretty self-explanatory. Only amounts more than $600 have to be reported on 1099 returns. If you paid someone partially via checks and partially with credit cards, only total the amount paid via check. Are they an LLC or Sole Proprietor, Estate or Partnership? The exception to this rule is your attorney. You are required to report anything over $600 paid to your attorney on a form 1099 even if they are a corporation. Now that you know WHO you need to issue your 1099 returns to, you can use your bookkeeping software or an online software like Track1099.com to actually issue them. 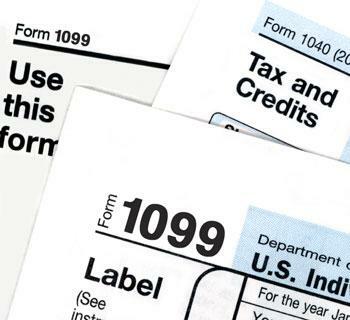 1099’s are due to both the recipient and the IRS by January 31st. 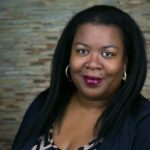 Juanita is the owner of Elite Financial Management, an Atlanta, GA based accounting firm focused on providing small and mid-sized businesses with day-to-day accounting, bookkeeping, and business solutions. Juanita loves working with small businesses and entrepreneurs. When she’s not crunching numbers, she can be found reading, cooking, and hanging out with her family.